"Just to say how pleased we are with our bathroom it looks fantastic. Your team were great and worked really hard!" "A note to say how pleased my wife and I are with the shower room renovation. Our new look is quite amazing and every bit as delightful fresh and smart as we had hoped and planned for. Your guys worked hard and conscientiously on the project, they are a great credit to you and deserve every praise." "Thought we would like to put down in writing just how delighted we are with the new en-suite. From start to finish yourself and your lads have given us excellent service and the results are a testament to that. Your men worked hard throughout and were always cheerful, pleasant and more than helpful. Your showroom staff too played their part in bringing all together - so once again many thanks to one and all"
"Many thanks for you and your teams hard work and attention to detail. We are delighted with our new bathrooms and grateful for your advice in choosing the fixtures, fitting and tiling." 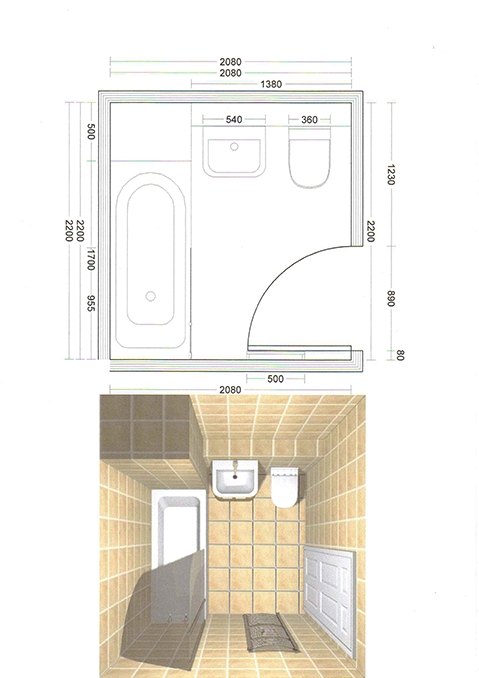 "We are writing to say how pleased we are with the refurbishment and installation of our bathroom and toilet. Your installation team have made an excellent job. They were always polite and accommodating and installed the bathroom with an attention to detail that I think is rare to find these days. They obviously take a pride in their work and of the customers satisfaction." "Thank you so much to you and all your team who have spent so much time and effort on our home. Your work has always been exceptional and you have always taken great care in ensuring that our home was clean and tidy after each visit. It has been a pleasure doing business with you."